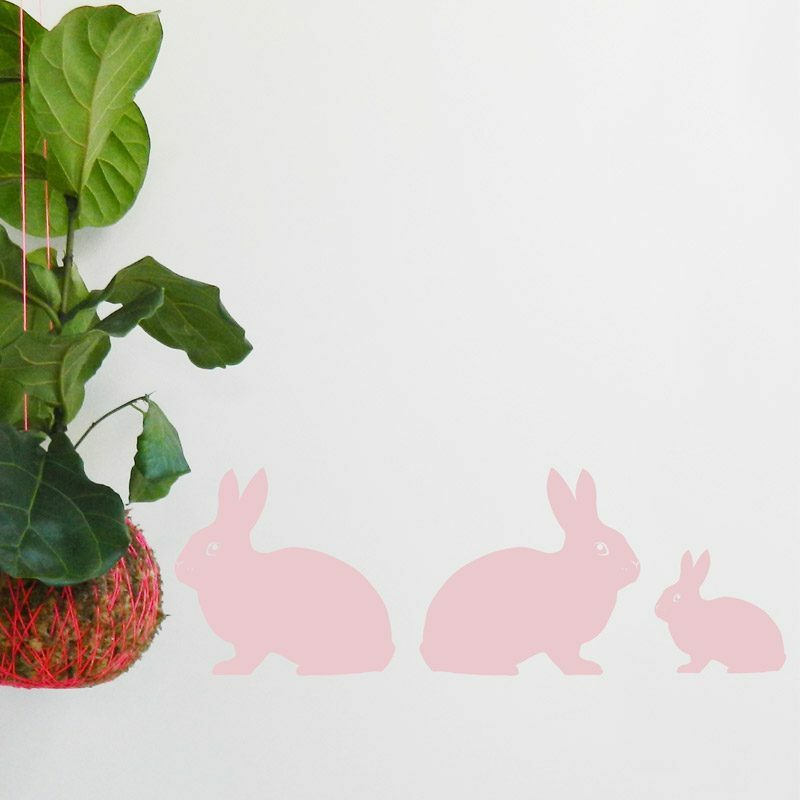 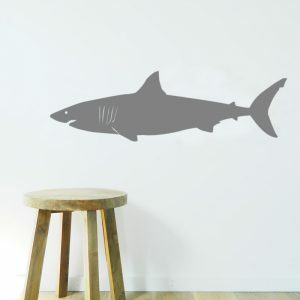 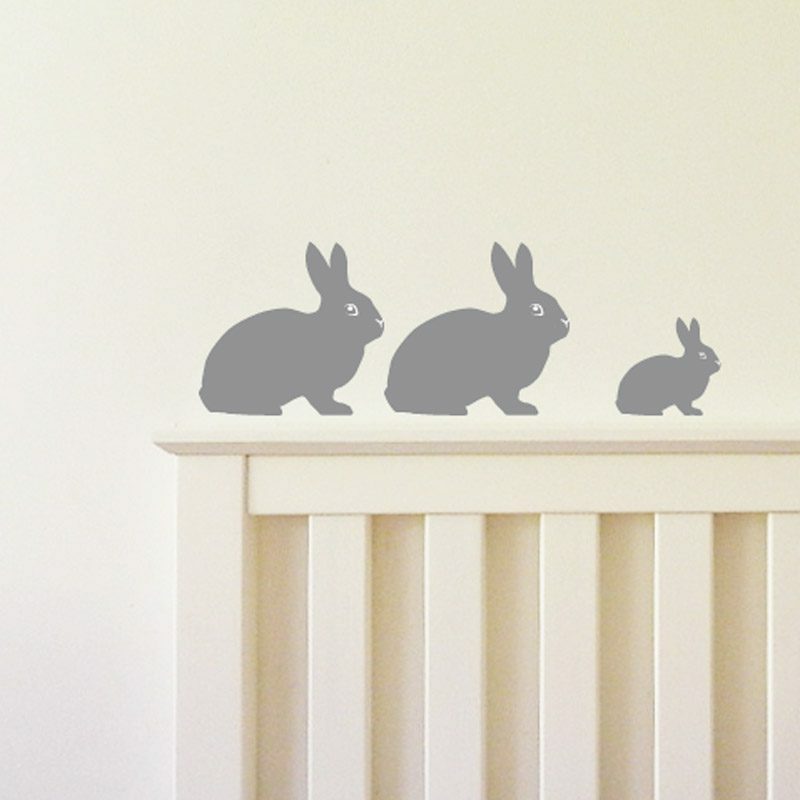 Bunny Rabbit Family wall sticker. 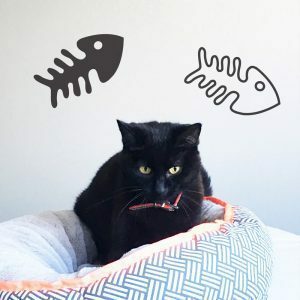 These pets won’t eat your plants! 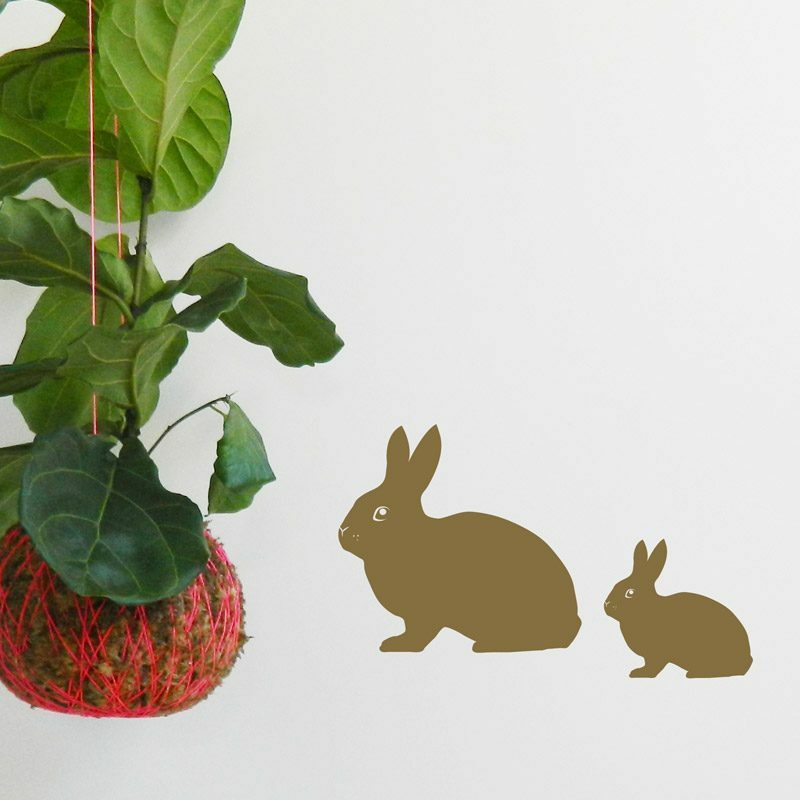 This family has two grown ups and a baby. 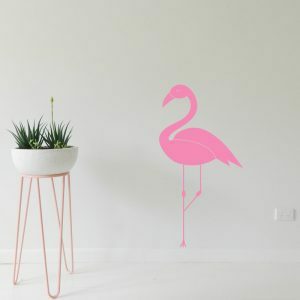 The grown ups are 18cm H x 18cm W and the baby is 11cm H x 11cm W.
If you have newly painted walls you will have to wait at least 3 weeks before applying the sticker.